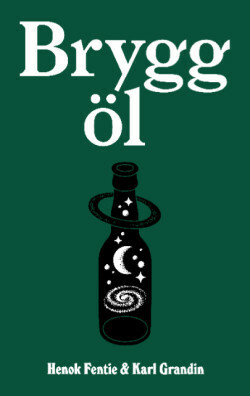 Brewed for the release of our book on homebrewing - Brygg öl. Recipe for a 10 l batch is printed on the label. Opaque dark brown beer, good darkish tan head. Dark chocolate covered Malteasers nose. Airy palate, semi dry, reasonable fine carbonation. Fluffy and tangy dark malts. Little dark fruits. A very mild coffee bitterness underneath. Light semi dry finish. Nothing wrong with this but it is an Impy like many many others. Bottle of rich and chocolaty beer with a bit of roast and licorice near the finish. Deep frothy creamy,intense and rich body. Anise goes with bit of alcohol and warms just a touch. tastes pitch black with a bit of hop discernible and rounded smooth. 330ml bottle at home. Black color with beige brown head. Roasted malty aroma, chocolate, coffee, licorice, smoked notes, leather. Sweet and bitter like aroma. Medium to full oily body with soft carbonation. Tap in BeerGeek. Really nice and so many flavours. Deep aroma and taste, full body, really well. Bottle in Pivni, York. Pours black with a tan head. Sweet fruity medicine aroma. The taste starts sweet with light spice and some medicinal notes before lots of chocolate pudding. Rich and delicious. [ As Omnipollo Brygd ].